Vietnam tour packages from India bring the experiences of a country filled with the captivating natural beauty and tranquil village life. The cuisines are fresh, fragrant and flavorsome; the local people are friendly, kindly and welcoming. You can find the differences from the shimmering green rice paddies dotted with the conical hats of the workers in Vietnam’s North and the fascinating bustle of the Mekong Delta waterways of the South Vietnam. Moreover, from mountains and highlands rainforest regions full of exotic wildlife in Northwest to islands and beaches among the finest in Southeast Asia, and Vietnamese culture is quite exciting for you to discover. 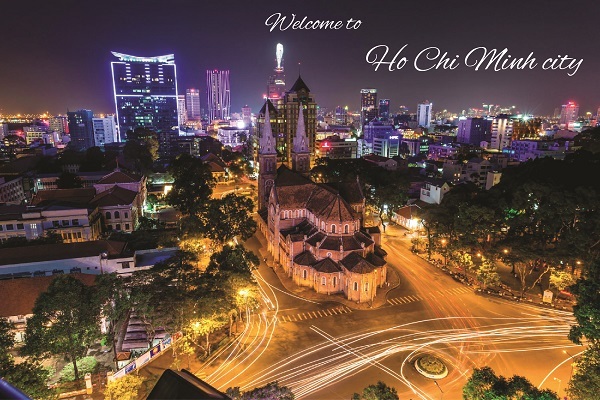 Besides, you have chance to learn to cook local dishes at a cooking class, have a new wardrobe whipped up at one of Hoi An’s famed tailor shops, or explore the compelling Cu Chi Tunnels in Ho Chi Minh City. Before starting new exciting journey, you should know some tips as well as attractive destinations in Vietnam. Indian passport holders need a visa in order to travel to Vietnam. Vietnam has recently allowed visa on arrival facility for all Indian passport holders, this special and swift facility is intended to boost tourism by making procedures hassle free and simple and lucid to understand and follow. The Vietnam visa on arrival facility is applicable to all visa classes and that includes business and tourist and for different types like single entry and multiple entry as well. 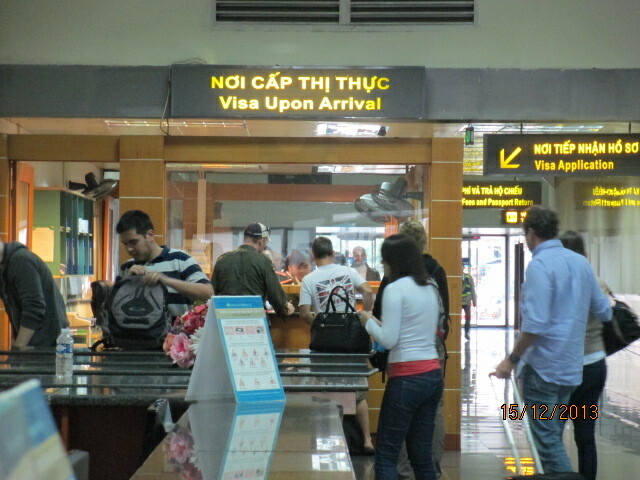 The visa on arrival facility however is available only on entry in Vietnam by air, all other modes of entry currently do not permit visa on arrival facility hence in case of arrival by sea/road/rail, you need to get in touch with your cruise operator or the concerned authority for further details. Vietnam visa on arrival is highly recommended on TripAdvisor, LonelyPlannet Guidebook, and many travel forums… even some embassy and consulate of Vietnam also offer Vietnam Visa On Arrival for their customers. 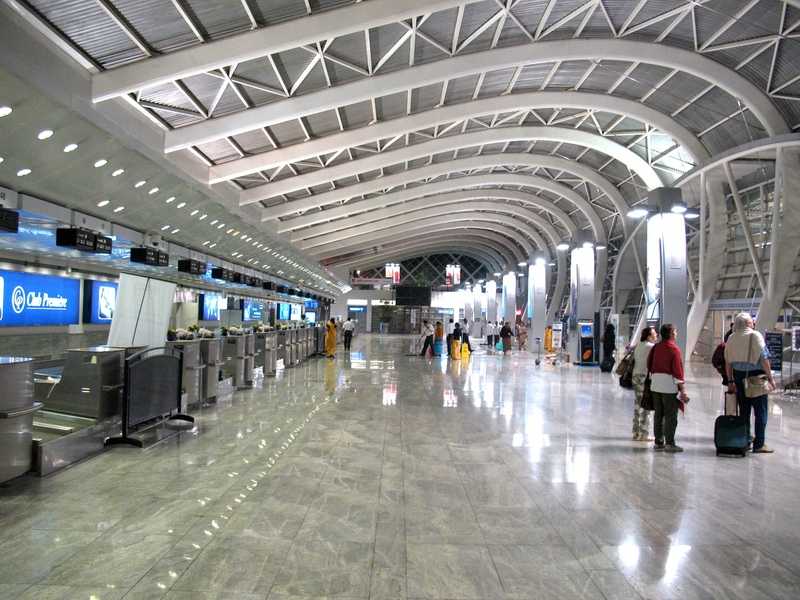 Before starting a new discovery journey in Vietnam, you can see popular routes from India airports to destinations in Vietnam. You have a large selection of Vietnam flights for you to choose and remember SGN and HAN are international airports in Vietnam. After your flight land and you check in the airport. In order to start the Vietnam tour packages from India, you can choose some kinds of transportation like bus, taxi to transfer to the center. As many countries in the world, bus travel is very cheap and quite popular. So you can choose it to travel around city. However, in the center of some large cities, you can use Cyclo to visit some attractive destinations; for example, you can use cyclo to visit the Old Quarter in Hanoi, see the local lifestyle. In some cities, you can choose a motorbike to travel like Danang, Phu Quoc, it is quite cheap and convenient. If you want to move to other provinces which are not far, the train is also another inexpensive way to travel and you can enjoy the beautiful landscape on the trip like overnight train from Hanoi to Lao Cai. 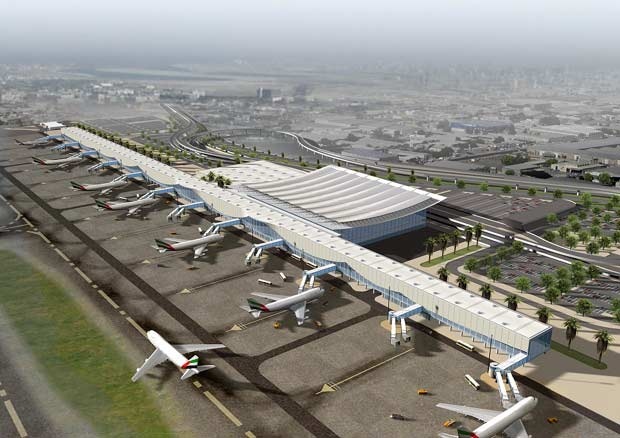 For further destinations, you can choose plane to save timing of your journey. However, there are extremely low-cost airlines that can hop you around Vietnam quickly if you have a exactly plan and book it early. In Vietnam, you are easy to find 3 main accommodations, including hotel, hostels and homestay. You can find anything from a backpacker’s hostel to a budget hotel to five star resort hotels. Take a few minutes to explore on foot, especially the smaller alleys or backstreets, and you will find much friendlier, cleaner and cheaper hotels or hostels. Homestay has become an increasingly popular form of lodging, especially in the smaller towns in Vietnam. 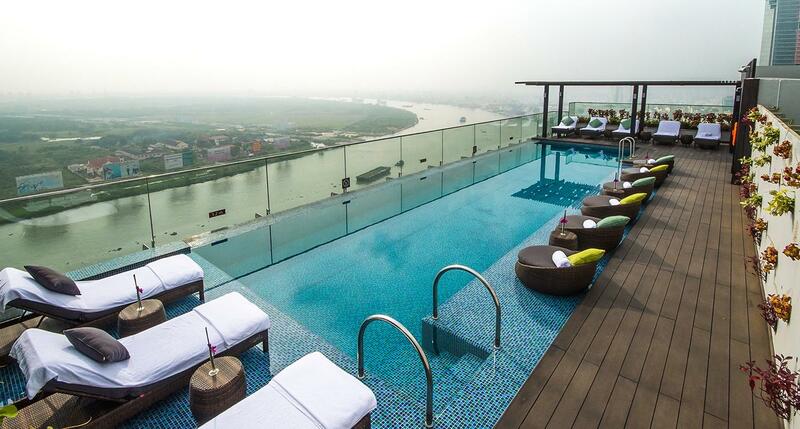 Not only they budget – friendly, it’s a great way to understand a little bit about lifestyle in Vietnam. Most homestays are booked through travel agencies, however in tourist villages like Sapa where you can walk up to the many homestays advertised. If you visit Sapa, Mekong Delta, don’t forget to experience homestay with local people. Vietnam has a tropical monsoon climate. The weather in Vietnam is dictated by two seasons, including the southwest monsoon between April and September, the northeast monsoon from October to late March or early April every year. When you have travelling plan, the easiest way to get your head around it is to break up Vietnam into three areas: the north, the center and the south. Northern Vietnam has 4 seasons, however, according to the recent temperature, it is divided 2 main characteristics: a cool to cold season (from November to March) and a warm to hot wet season (between April and October). December and January can get quite frosty in the far north of Vietnam. You can also see heavy mists that can run for some days. These can reduce visibility in places such as Sapa and Ha Long Bay to frustratingly short distances. Two wettest months of the year in Hanoi are July and August while the driest months are December and January. Central Vietnam is kind of a transition area climate from the north to the south. From April to September, while the coastal area does see some rain, it may be less than other parts of the country. However between September and December, the northern section of Central Vietnam (Hoi An and Da Nang through to Hue) receive considerable rain. Central Vietnam can also be affected by typhoon season in the Western Pacific between August and November. Furthermore, Hoi An often has floods in October or November. However, the southern coastal strip from around Nha Trang to Mui Ne is less affected by the rain as well as storms and has a longer dry and sunny season. Southern Vietnam gets plenty of rain and hot, humid weather during the southwest monsoon between April and September, with June and July being especially wet. At this time, you’ll most likely see some floods in Saigon and the southern island of Phu Quoc can see persistently poor weather every year. You can exchange your home currency (Indian Rupee) for Dong – the official currency in Vietnam. 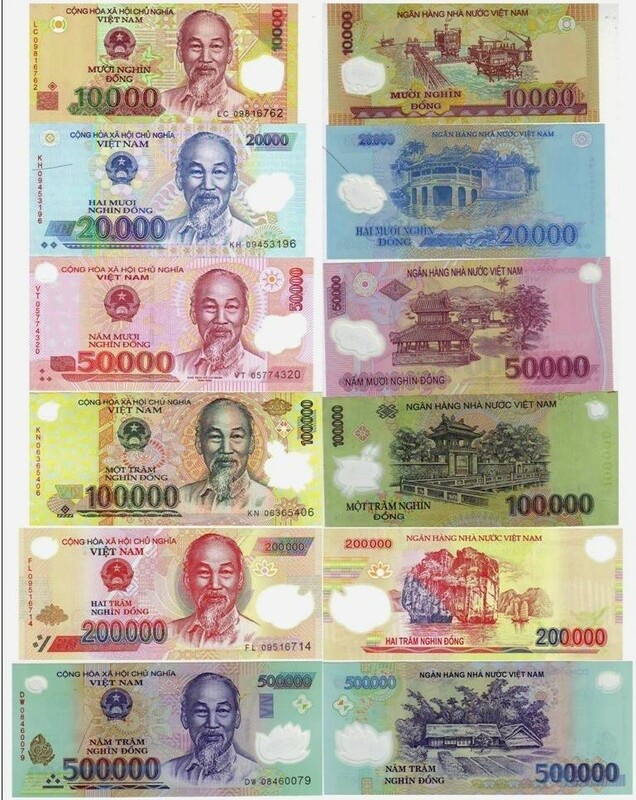 However, US dollars are widely accepted in larger stores and supermarkets in Vietnam. Visa and MasterCard in particular are accepted in many hotels, large stores, restaurants, especially in the big cities. ATMs are widely available throughout the country; there is a figure for international banks in Hanoi and Ho Chi Minh City. 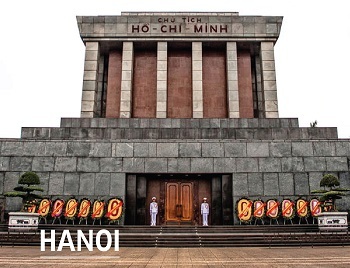 Hanoi – the antique and dynamic capital is lying at the center of the triangular basin of the Red River. It is famous for numerous rivers, lakes, and mountains alongside and in the surroundings. Additionally, this antique capital is also attractive thanks to the appearance of large number of historical sites, cultural sites which witness its history of 1000-year formation and development. You can visit all the most outstanding sites including historical, cultural sites and art exhibition, you will have a chance to discover some highlight periods of Vietnam history and learn about the unique feature of Vietnamese culture. 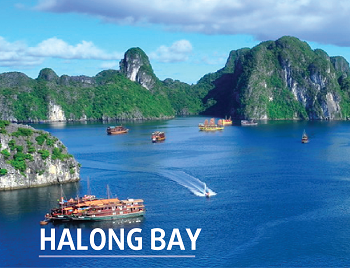 Move to Ha Long – one of the seven wonders in the world. Halong Bay’s spectacular scatter of islands, dotted with wind- and wave-eroded grottoes, is a vision of ethereal beauty and, unsurprisingly, northern Vietnam’s number one tourism hub. You can cruise around Ha Long Bay and visit Thien Cung Grotto, Dau Go Cave… Enjoy the fishing village by bamboo boat, get closer to the characteristic landforms and learn more about the local way of life. You can swim on a white sand beach or go kayak through the hidden beauty of the Bay. 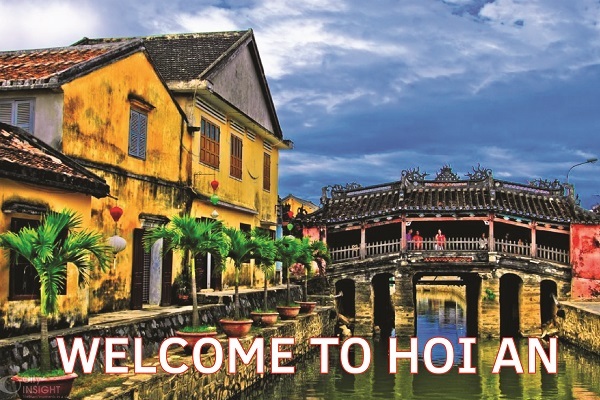 Hoi An ancient town: Hoi An is recognized as a World Heritage Site by UNESCO. It is an exceptionally well-preserved example of a South-East Asian trading port dating from the 15th to the 19th century. Its buildings and its street plan reflect the influences, both indigenous and foreign, that have combined to produce this unique heritage site. Your energetic day will be spent discovering the local life of farmers in the countryside of Hoi An town and also learning the history of the most highlight historical and architectural arts, etc. Mekong delta is also known as Vietnam’s rice basket – a fertile area spreading nearly 50,000 km. Here the mighty Mekong River ends by splitting itself into nine major tributaries. The Vietnamese name these nine tributaries “Nine Dragons”. How to Get the Best Tour Packages to Vietnam in Mekong Delta? Where Do Indochina Tour Packages Guide You? Could you give us contact? We will send you the suitable tour package. Thanks in advance. We r interested to tour vietnam&Combodia. We r 4 people.we would like to know which r the imparted places to see in vietnam and reasonable good hotels.and we prefer indian food. We would like to have 8 days tour splitting vietnam and combodia 4days each.we will book our air ticket on our own. we require hotel accommodation and transportation in vietnam and combodia. Please let us know about the cost for accommodation transportation and sight seeing. both at vietnam &Combodia. Hello can I get an itinerary to Vietnam Hanoi, Halong bay.. 4 nights from India.